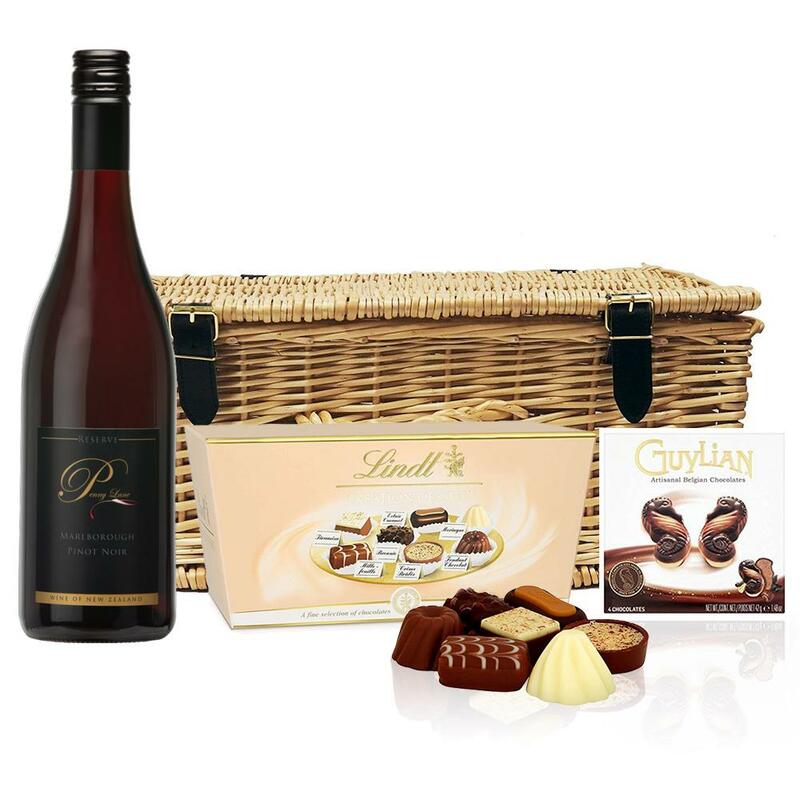 Penny Lane Reserve Pinot Noir and Chocolates Hamper A delightful gift of Penny Lane Reserve Pinot Noir along with a box of Guylian Artisanal Belgian Chocolate Hearts 42g and Belgid'Or Fine Belgin Choclates (175g) all packed in a wicker hamper with leather straps lined with wood wool. All gifts come with a gift card with a message of your choice. The grapes are selected from the inland, elevated Matapiro region and matures in French Oak Barriques. This vintage shows very good depth of vibrant plum and spice flavours, fresh and smooth This product is hand packed onsite by Bottled and Boxed, and is not affiliated with any other brand. Bottled and Boxed is responsible for this product combination/set.